All meals onboard the Murray Princess, The Captain’s Dinner and Dance, FREE onshore tours, FREE guided nature walks and eco-excursions, FREE onboard presentations, FREE live entertainment, FREE onboard tea and coffee and FREE coach transfers from Adelaide. Fly to Adelaide and begin your Murray River adventure. 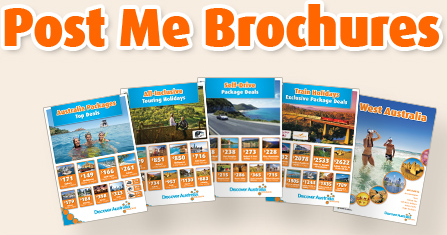 You will be personally met at the airport by a DISCOVER AUSTRALIA representative and transferred from the airport to your hotel. This afternoon get transferred to Mannum to begin your 8 day Murray Princess Murralyands and Wildlife Cruise. Enjoy a Welcome Dinner as you cruise north towards Caurnamont. Look for nocturnal wildlife on the riverbank such as kangaroos, hairy-nosed wombats, tortoises and many other species as you enjoy music from your onboard entertainer and cruise under floodlight to your overnight mooring at Caurnamont. This morning, enjoy an early morning bush walk with the captain or you may choose to experience an optional Bush Tucker Breakfast. Cruise downriver to Ngaut Ngaut Aboriginal Reserve while taking in views of the spectacular cliffs scoured by the river over millions of years. Later, return to the P.S. Murray Princess and continue cruising south to your overnight mooring, Younghusband. Enjoy a speedboat ride along the way if you wish. Tonight enjoy a spectacular Captain’s Buffet Dinner. You have the opportunity to dress up and enjoy a dance if you wish! Leave Younghusband and cruise back to Mannum. After breakfast, tour to the Barossa Valley, Australia’s most famous wine region. Visit two premium wineries and enjoy a winery lunch before returning to the P.S. Murray Princess and cruising to your overnight mooring of Mundurra. Breakfast, Winery Tour, Winery Lunch, Dinner, Overnight Accommodation Onboard the P.S. Murray Princess. Continue cruising upriver and enjoy a short stop in Mannum for a visit to the Mannum Dock Museum. Continue cruising to your overnight mooring at Salt Bush Flat. You will have the opportunity to inspect the wheelhouse with the Captain along the way and after dinner, enjoy the onboard entertainment from the crew. This morning return to Mannum and after breakfast, say goodbye to your new found friends and fellow travellers. Get transferred to Adelaide Airport for you flight home. You will be personally met at the airport by a DISCOVER AUSTRALIA representative and transferred from the airport to your hotel. You will also be transferred from Mannum to Adelaide Airport for your flight home. 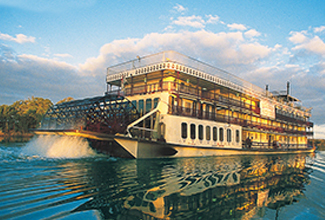 The Murray Princess 8 Day Murraylands & Wildlife Cruise with Adelaide Stay is very popular. Many dates book out well in advance, please book soon.